Welcome to Winton and Waits: a Story-forward Design Company. Winton and Waits is a retail experience located in the much anticipated 4eleven venue off South Main Street in Fort Worth, TX. They create products that tell a story, intentionally designed and sold to create an impact in our city and around the globe. Also in the works is an e-commerce website, which will extend their reach beyond just our city! 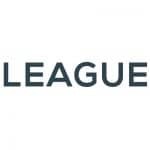 Owner, Jenna Lee, is a close friend (and client) to LEAGUE. She’s a TCU grad and has called Fort Worth, Texas her home for over 22 years. Over those years, she has developed her skills in business and design through many entrepreneurial endeavors including retail, wholesale/manufacturing and event planning. She’s also gained a wealth of experience over these years in social causes, such as working to help provide sustainability for women in Ethiopia and here in the heart of our city of Fort Worth. Winton and Waits is a lifestyle brand that influences the everyday consumer to choose to spend their purchasing dollars on goods that make a difference in the lives of others. Their goods are a perfectly curated mix of accessories, gifts and homegoods that speak to the forward-trending style we all desire to find in our shopping experiences. Many of their products are made directly by the women that serve in their partnership organizations. Winton and Waits believes wholeheartedly that there is beauty in the broken. They want to be a place where stories of brokenness become beautiful stories of hope – a place where creativity and collaboration thrive – a place where you can shop, be inspired and be a part of making a bigger impact through your purchases, whether in-store or online. We at LEAGUE wanted to show our support by creating a video to promote the upcoming launch! Please consider joining us in supporting this awesome business venture by watching their kickstarter video and visiting their new store in November for their retail launch.